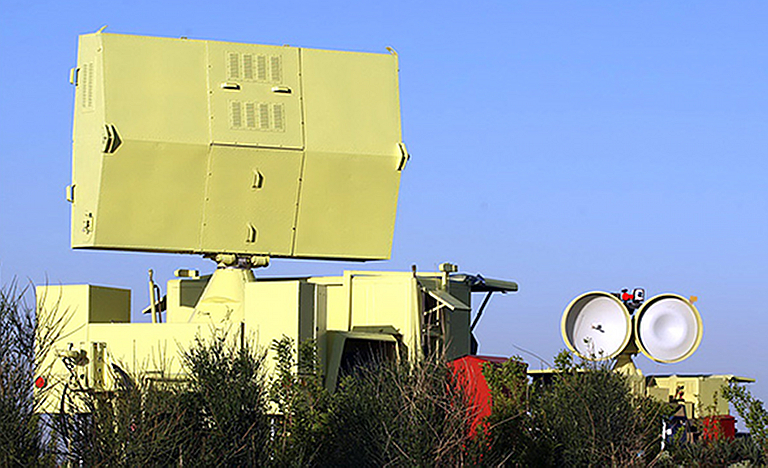 Iran recently paraded a Russian built Nebo SVU “counter-stealth” radar system. Depicted is an NNIIRT 1L119 Nebo SVU VHF-band AESA radar demonstrator towed by a Ural 4320 6 x 6 tractor on display in deployed configuration (Image © Miroslav Gyűrösi). Ongoing disagreements between the Western alliance and Iran over that nation's illicit nuclear materials program have fuelled considerable speculation in recent weeks over the possibility of Israeli or US led air strikes against Iran's nuclear industrial base. Should this outcome arise, attacking aircraft will have to overcome a disparate but rapidly modernising Integrated Air Defence System (IADS). Performing accurate assessments of Iran's military capabilities is always challenging, as Iran is a closed society run by an Islamo-fascist regime, itself dominated by a theocratic leadership, and its military arm, the Iranian Revolutionary Guard Corps (IRGC). This arrangement is in many key respects modelled on the 1940s Nazi state, where the regime maintained its own “private” military force (the Waffen SS) to make military coups against the regime difficult, if not impossible. 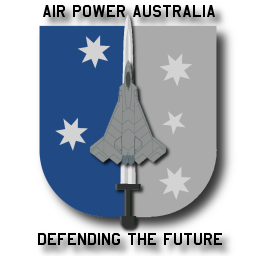 Air Power Australia has published two assessments of Iran's air defence system since 2007, one exploring the technology used in Iran's IADS, the other the deployment of strategic SAM systems and their achievable coverage. 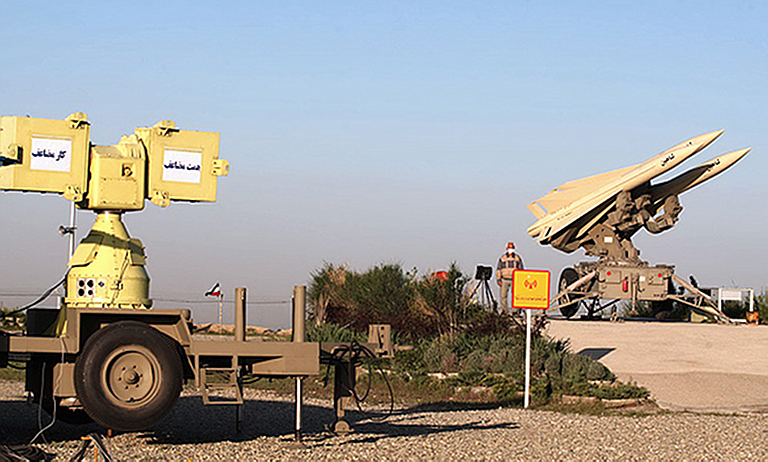 Neither assessment has credited Iran with an effective capability, and for good reasons, as much of Iran's inventory of radar equipment and SAMs qualifies as obsolete by contemporary standards , . The US supplied Raytheon MIM-23 Hawk tactical SAM, kept operational and modified since the fall of the Shah in 1979, with a range of around 15 nautical miles. Claims have emerged that Iran has reverse engineered the Hawk and is manufacturing components or systems. Similar claims have also emerged around the Chinese supplied SA-2 Guideline. Reports of unspecified upgrades to the Russian supplied SA-5 Gammons also exist. No good open source validation has emerged as yet for any of these claims, as a result of which assessments are limited to close in and overhead image interpretation, which cannot usually help in assessing improvements to guidance and internal electronic components, such as missile seekers and datalinks. A wide range of possibilities exists, in terms of technology upgrades available for the S-200VE Vega / SA-5B Gammon, the HQ-2 “Sayyad” / CSA-1/2 Guideline, and sufficient basic technology exists in the global market to effect numerous upgrades to the MIM-23B Hawk. 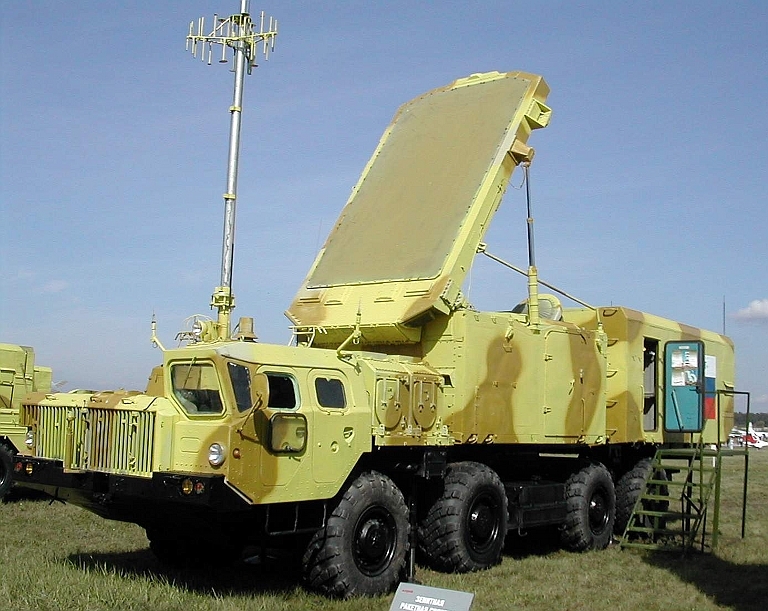 While the latter would involve considerable indigenous engineering effort, as suggested by Iranian media claims around the “Mersad” system, upgrades to the original Soviet SAM systems and supporting radars are widely available, with offerings from Russia, Belarus, the Ukraine, Serbia and other nations now available in the market. 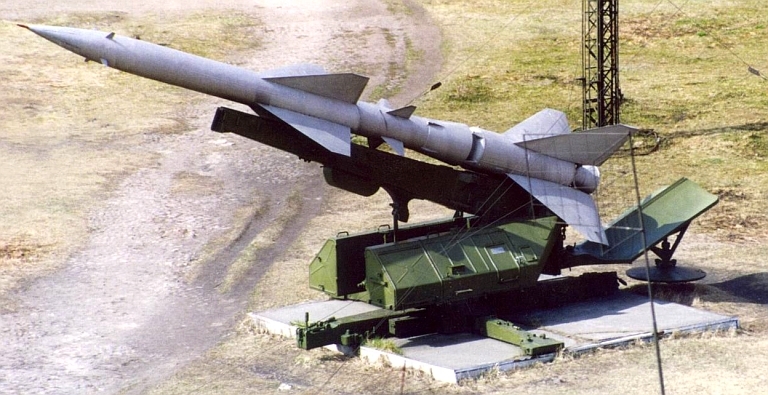 The basic S-200VE Vega / SA-5B Gammon and HQ-2 “Sayyad” / CSA-1/2 Guideline have been wholly compromised since the end of the Cold War, as a result of which highly effective electronic countermeasures techniques exist against the radar equipment employed in both. The original analogue SNR/RSNA-75 Fan Song, SJ-202 Gin Sling and 5N62 Square Pair cannot compete against contemporary Digital RF Memory (DRFM) jammer technology, whether used in self protection systems, or support jamming systems. The same is not necessarily true of any digital rebuilds which may have been applied to the engagement radars and in the instance of the CWSARH S-200VE Vega / SA-5B Gammon and “Mersad”, also the missile terminal seekers. Upgrades produced in Belarus for instance incorporate fully digital signal and data processing, modern ECCM features, and jam resistant frequency hopping waveforms, as well as non-coherent emitting decoys . Another possibility, for which no evidence exists to date, is that of hybridisation of these legacy SAMs, using foreign supplied engagement radars, such as the Chinese H-200 space feed PESA. Given the absence of public disclosure policy in most potential suppliers of such upgrades, covert intelligence collection may be the only way to determine if the claimed upgrades are real or no more than artefacts of Iran's very active propaganda machine. 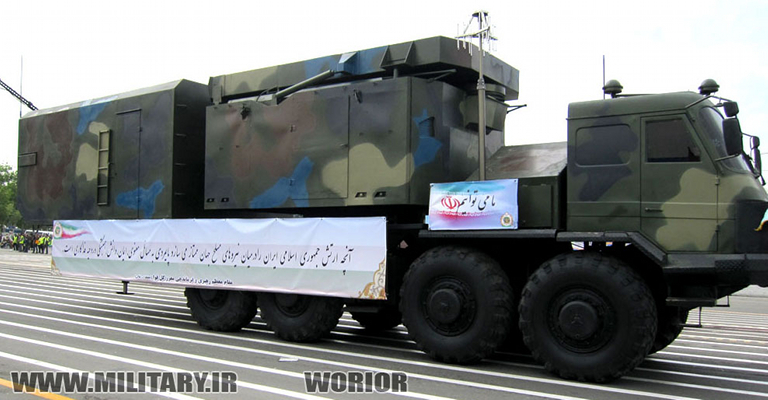 Iranian 5Yu24M transporter/transloader carrying an S-200VE/SA-5 Gammon 5V28 round. The Kraz-260 is replaced by an imported Italian built Iveco 6 x 4 tractor. Early model 1D / SA-2A Guideline on an SM-63 launcher. Iran's Chinese built HQ-2s are largely based on this variant (Image © Miroslav Gyűrösi). Iran's Mersad SAM system appears to be a reverse engineered derivative of the MIM-23B Hawk which was the principal SAM operated by Iran before the fall of the Shah, Reza Pahlavi. The system appears to use a largely new package of radar equipment, although the TV tracker equipped CW illuminator resembles the original X-band AN/MPQ-46 HPIR design (left). The acquisition radar also closely resembles the AN/MPQ-50 PAR design (below). Details of other system components have not been disclosed to date. Most of the recent media coverage surrounding Iran's SAM capabilities has centred on the long delayed delivery of a several batteries of Russian built Almaz S-300PMU1 / SA-20A Gargoyle SAM systems. 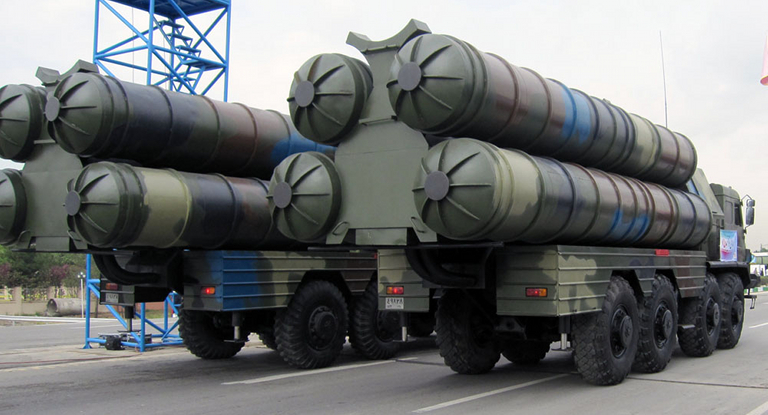 This SAM system is the export configuration of the late Soviet era S-300PM, the first “digital” variant of the S-300P series, but lacking the longer ranging radars, missiles and more sophisticated battery networking of the later S-300PMU2 Favorit exported in large numbers to China. Nevertheless, the S-300PMU1 is a formidable SAM system, comparable to earlier variants of the Raytheon MIM-104 Patriot, but with much better mobility and thus survivability under air attack. To date no Western air force has fought against the S-300P series SAM system . On the 9th June, 2010, the UN Security council voted to upgrade the sanctions regime against Tehran, as a result of which the Russians are now unlikely to proceed with the delivery of these systems to Iran. Official statements by the Russians since then have been interpreted and re-interpreted in the Western, Russian, Israeli and Iranian media. Israeli sources have cited the Russian Deputy Minister of Foreign Affairs, Andrei Denisov, as claiming “Moscow believes that the sanctions resolution clearly forbids the sale of the S-300 system to Iran”. Since late June, Iranian media have been actively denouncing Russia's reluctance to complete the deal, with claims that Russia had already been paid for the SAMs. In late June, Iran's Defense Minister Ahmad Vahidi was quoted in the Tehran Times, claiming that Iran would manufacture its own long range SAM systems - a claim not unlike Iran's public declaration during the 1980s, that it would design and build its own replacement for US supplied Grumman F-14A Tomcat fighters. Earlier claims had emerged that Iran would procure the very similar, but newer in electronic hardware design, Chinese built HQ-9 SAM system. To date no evidence has emerged that the Chinese have been receptive to this idea – China has been very actively marketing the HQ-9 internationally, since last year, but would confront serious international political challenges in exporting this system to Iran. From an analytical perspective, much more interesting than the S-300PMU1 media controversy has been the emergence of Iranian sourced imagery over the last six months, depicting radar and SAM systems, but without any supporting official explanations. 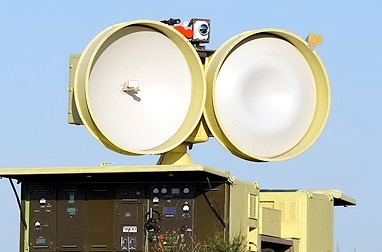 Iranian containerised VHF-band acquisition radar, likely based on a Spoon Rest variant of Soviet or Chinese origin (FARS). 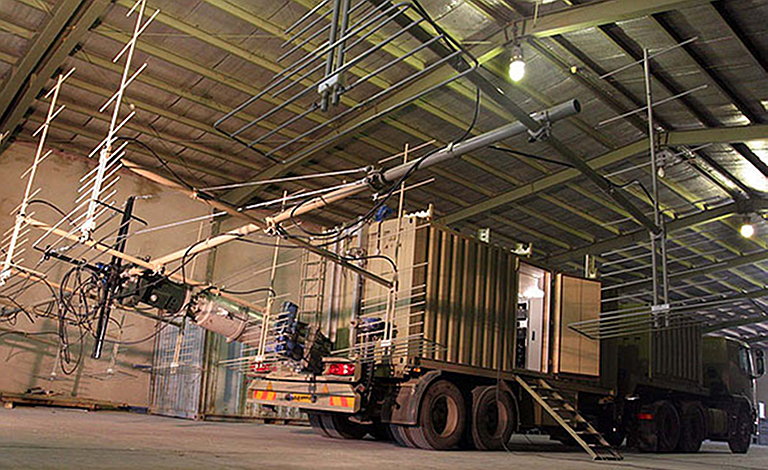 The first of these was an image posted on the official FARS newsagency website, showing a partly stowed VHF band radar installation, built into an ISO style shipping container on a semi-trailer. The semi-trailer is towed by an imported EU built IVECO AT720 6 x 4 tractor, ostensibly sold to Iran for civilian use. The radar appears to be a derivative of either a Russian or Chinese P-12/18 Spoon Rest subtype, but there are sufficient differences in the configuration of the Yagi array elements to safely state that this design is more than a repackaged Soviet “classic” or Chinese re-engineered clone. It is not clear whether this is a demonstrator, preproduction prototype, or production item. In comparison with legacy Spoon Rest variants, this configuration would permit much faster deployment and stowing in an operational environment, as there is no need to align two trucks and couple them with cable harnesses. How much faster is not entirely clear – the antenna appears to stow in parts on the roof of the container. 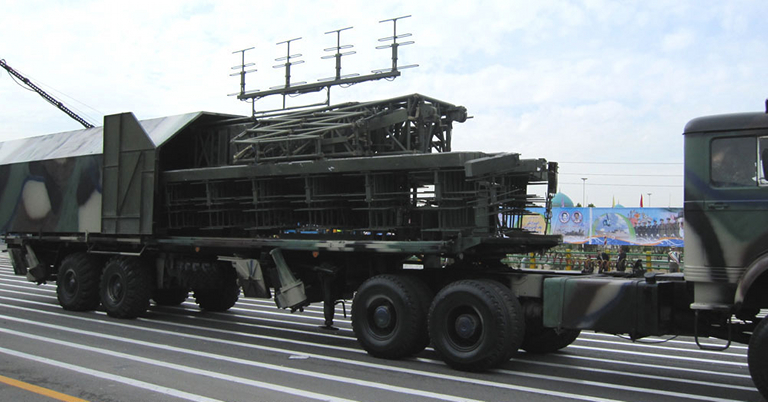 Of much more strategic concern was a released image showing a stowed original Russian built NNIIRT 1L119 Nebo SVU “counter-stealth” VHF-band AESA acquisition radar, displayed publicly during the 18th April, 2010, “Army Day” parade . Iranian VHF-band 1L119 Nebo SVU AESA acquisition radar on parade (www.military.ir). To date the production and export status of the 1L119 Nebo SVU VHF-band AESA has remained unknown, as the Russians have made no public disclosures. This fully solid state design is the most advanced VHF band radar ever produced, using AESA capability for electronic beamsteering, likely monopulse angle tracking, and incorporating Space Time Adaptive Processing (STAP) technology for digital clutter and chaff rejection. 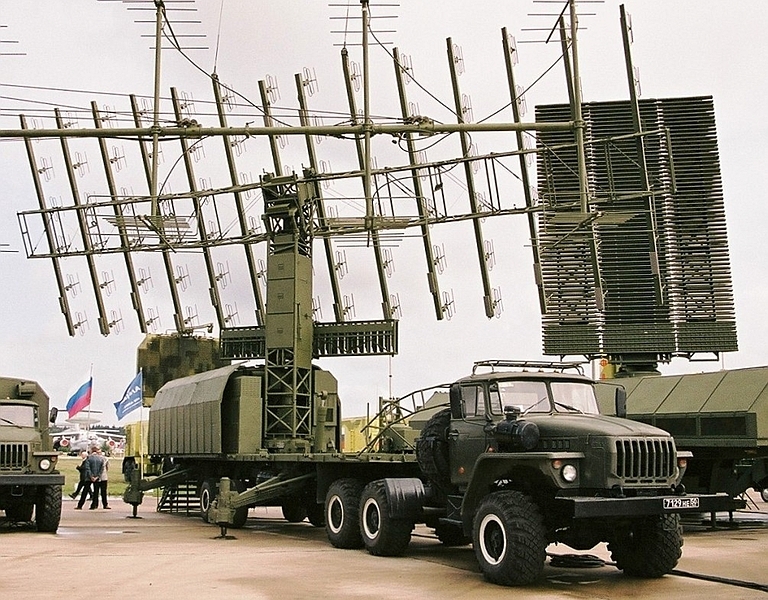 The example photographed appeared largely identical to display examples shown at Russian arms shows, but includes a quad-Yagi V-pol backlobe cancelling array, never seen before on Russian examples. Unusually, the tractor appears to be an obsolete KrAZ-255, rather than the much newer and more powerful Ural 4320 series seen with Russian examples. 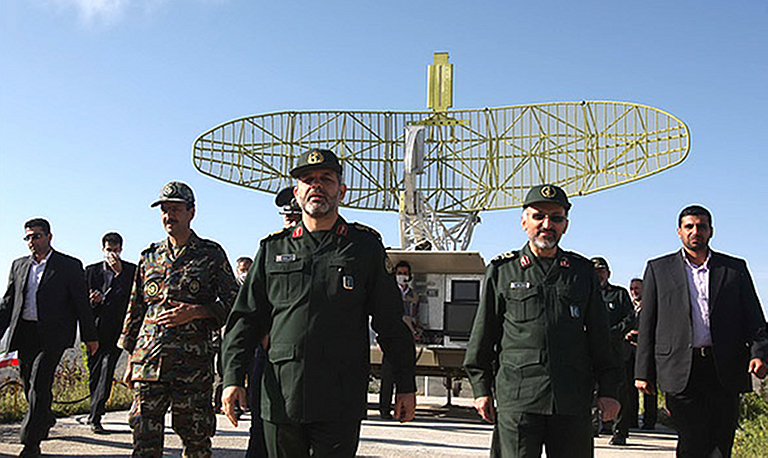 Other differences include an antenna shroud which closely resembles that used with the legacy NNIIRT 1L13 Nebo SV / Box Spring radar – the element count on the Iranian radar clearly shows it is the later 1L119 Nebo SVU AESA, not the conventional 1980s technology 1L13 Nebo SV. Whether the Nebo SVU is used as a SAM battery acquisition radar, or an area search radar, this represents a “step function” leap in capability for Iran, as this is a modern fully digital radar which has most of the technological refinements in its Western peers, substantial resistance to jamming, and electronic beamsteering for high update rate sector scans and multiple target “track-while-scan” capabilities. In many respects the AESA capability of the Nebo SVU qualifies as “Aegis-like”. Jamming modes in the legacy US built ALQ-99 low band jammer pods, developed to defeat legacy analogue Soviet VHF-band threats, may not be entirely effective against a Nebo SVU, given its modern digital design and likely capability to dynamically place mainlobe nulls onto a jamming emitter. The number of Nebo SVU systems procured by Iran remains unknown, just as their operational status remains unclear. No less interesting imagery emerged earlier this year on an Iranian military enthusiast website, showing what was described as an “Iranian S-300 SAM system”, also displayed publicly during the 18th April, 2010, “Army Day” parade. This was claimed to be an “S-300PMU1” system. These images showed what appears to be a stowed 30N6E series Tomb Stone space feed PESA engagement radar, and what appears to be a derivative of the earlier self propelled 5P85S TEL used with the later S-300P subtypes. 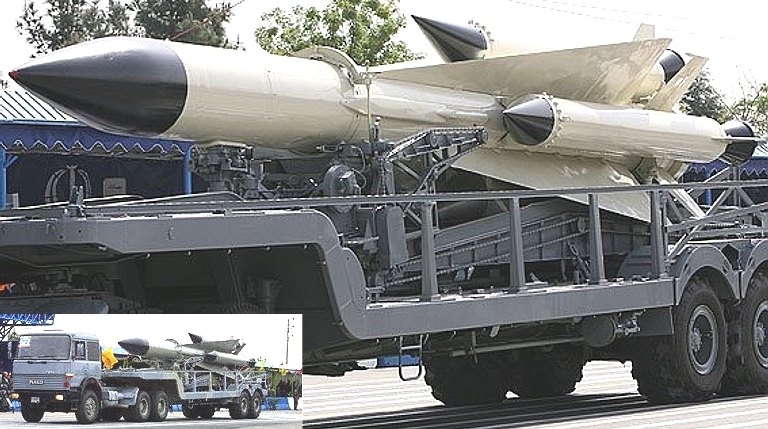 The “Iranian S-300 SAM system” displayed at the Army Day parade has been dismissed by many analysts as a fake or mockup, produced to effectively emulate the famous 1960s Soviet OKB-1 8K713/GR-1 / SS-10 SCRAG FOBS deception . The displayed system is a fully operational rehosted SA-10B or SA-20A constructed using refurbished operational SA-10B or SA-20A components sourced from former-Soviet republics other than Russia, with the intent to hedge against delays in or the collapse of the publicly disclosed S-300PMU1 purchase. Testing these possibilities against the available evidence does not make a compelling case that the “Iranian S-300 SAM system” is more than replay of the FOBS strategy, and may well be aimed at a domestic rather than a foreign audience. Iranian “30N6” radar on parade (www.military.ir). Almaz 30N6E2 Tomb Stone A deployed. Note the distinct array shape (image © Said Aminov, Vestnik-PVO). The engagement radar displayed resembles the original Russian built 30N6E1 Tomb Stone S-300PMU1 / SA-20A Gargoyle engagement radar system, but rehosted on an Iranian 8 x 8 all terrain vehicle very different from the Belarus sourced MAZ-543 / MZKT-7930 series used exclusively with original Russian sourced S-300PM/PMU/PMU1/PMU2 systems. Iranian sources claim the designation “Bakr”, and cite the use of this design as a tractor for towing a tank transporter trailer. The stowed telescoping antenna system for the TEL datalink is similar but not identical to the design typically seen on Russian 30N6 installations. What appears identical to late model Russian built S-300PMU2 systems is what appears as the installation of the highly precise Russian built NK Orientir radio / satellite navigation and alignment system, visible on the roof of the 8 x 8 truck cabin. This system has not been reported as yet installed on Russian operated S-300PM systems. As the 30N6 antenna is stowed, it is not possible to determine whether the radar is a 30N6-1, 30N6E, 30N6E1 or 30N6E2, as the distinguishing detail is hidden from visual observation. The mounts for the hydraulic rams used to elevate the antenna, the hinges and other features most closely resemble the later 30N6E1/E2 radars. Other details like cabin doors, camouflage net tie-down points, antenna feed/lens shroud and hydraulic ram designs are similar but not identical to the Russian originals. If this is a replica or mockup, it is a very well constructed one, since nearly all of the fine detail is present, and differences observed would not be inconsistent with rehosting to a new carrier vehicle, and repackaging the antenna head into a new turret. Why a designer might do the latter is not clear, given that it incurs considerable expense for no obvious benefit. If the system is intended as a deception, it is not clear why indigenous Iranian 8 x 8 vehicles were employed, rather than abundant and easily acquired pre-loved MAZ-543 chassis, numerous examples of which have been sold in Western nations as host vehicles for drilling rigs. Replica TELs and radars carried on original Belarus built MAZ-543 chassis would be extremely difficult to differentiate from original S-300PMU1 components. Iranian “5P85S” TEL on parade (FARS, www.military.ir). Russian S-300PMU 5P85SU TEL being reloaded by a 22T6E transloader (via valka.cz). The self propelled “5P85S” TELs on display share the common 8 x 8 chassis, and like the 30N6 displayed, show some original Russian features, but also unique features. The missile container / launch tube shaping appears to be the same as original Russian hardware, as there are no visible differences from the design used on original mid to late production systems armed with the 48N6 series missile round. Chinese HQ-9 tubes have different reinforcement ring arrangements. The hydraulically elevated gantry for the tubes does not appear identical to the Russian 5P85S design, nor does the equipment cabin on the TEL. Neither image shows evidence of the TEL datalink mast and antenna, which clearly protrudes above the profile of all known Russian variants. The lends credence to assessments of these TELs as mockups. The imagery of this SAM system raises more good questions than answers. 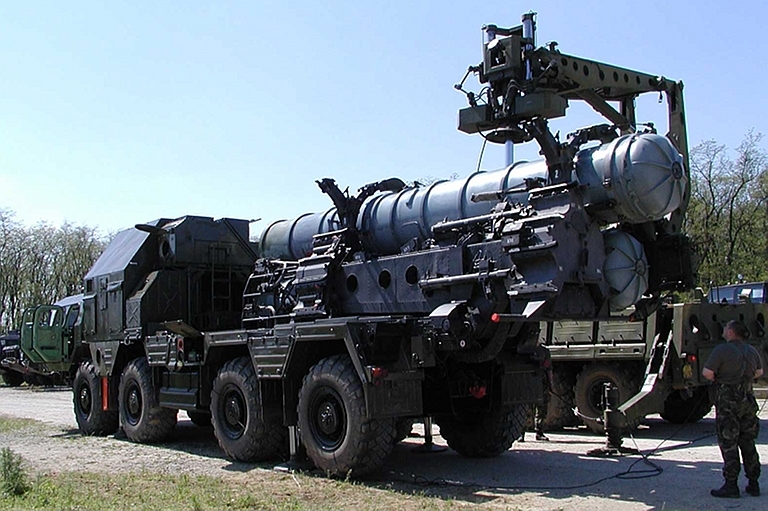 Given repeated Russian claims that the S-300PMU1 had not been supplied to Iran, and Iran's public complaints and threats made to the Russians over the suspended delivery, there is not a compelling case that this system is a portion of the suspended multiple battery procurement. The Russians have never before rehosted the S-300P series on customer supplied vehicles, policy always being to use proven high production volume Belarus or Russian built vehicles, the quirks of which are well known and understood. US sources have assessed the “Iranian S-300 SAM system” to be a fake intended for propaganda purposes. While the ground truth behind this SAM system, or as Occam's Razor would suggest fake SAM system, may take some time to reveal itself, what is clear from the acquisition of the potent Nebo SVU, the considerable investment in re-engineering the MIM-23B Hawk, and the protracted fracas over the Russian supply of the S-300PMU1, is that Iran has been highly active in attempting to improve its IADS capabilities. If Israeli or US led air forces are called upon to fly against Iran in the nearer future, we should not be surprised if there are some nasty and “surprising” capability surprises in the Iranian IADS. 7 Further details on the S-300PMU1, S-200VE, HQ-2 can be located at: http://www.ausairpower.net/sams-iads.html. 8 Iranian imagery reproduced in accordance with 17 U.S.C. §107, this material is distributed for non-profit research and educational purposes only.